It’s time to get ready to shop for Christmas as FashionistaGH presents #fghPopUp!!! (Pronounced F G H Pop-Up). A one day pre- Christmas shopping event at the Efua Sutherland Children's Park on Saturday 29th of November from 10am - 5pm. Come buy all the clothes, shoes, bags and all other accessories you need this Christmas season as well as lovely gift items for your loved ones. 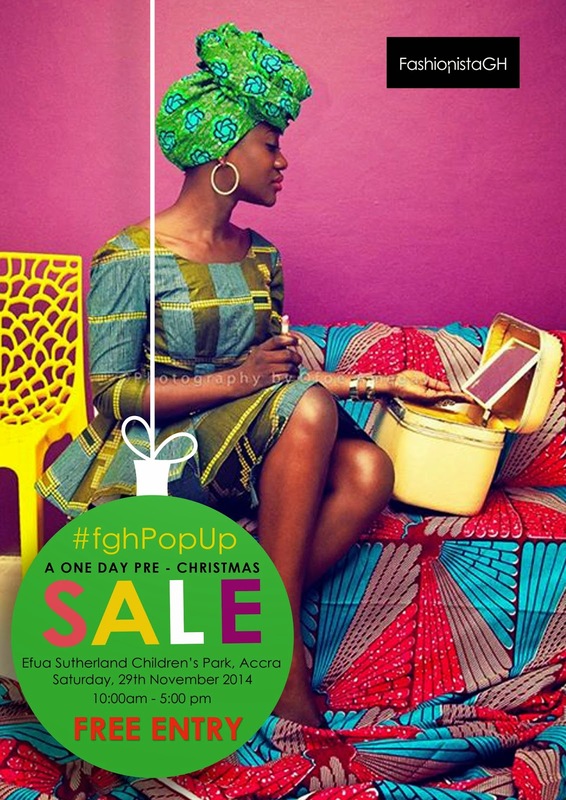 #fghPopUp will be so much fun with amazing discounts, free photo-shoots, music performances and so much more. 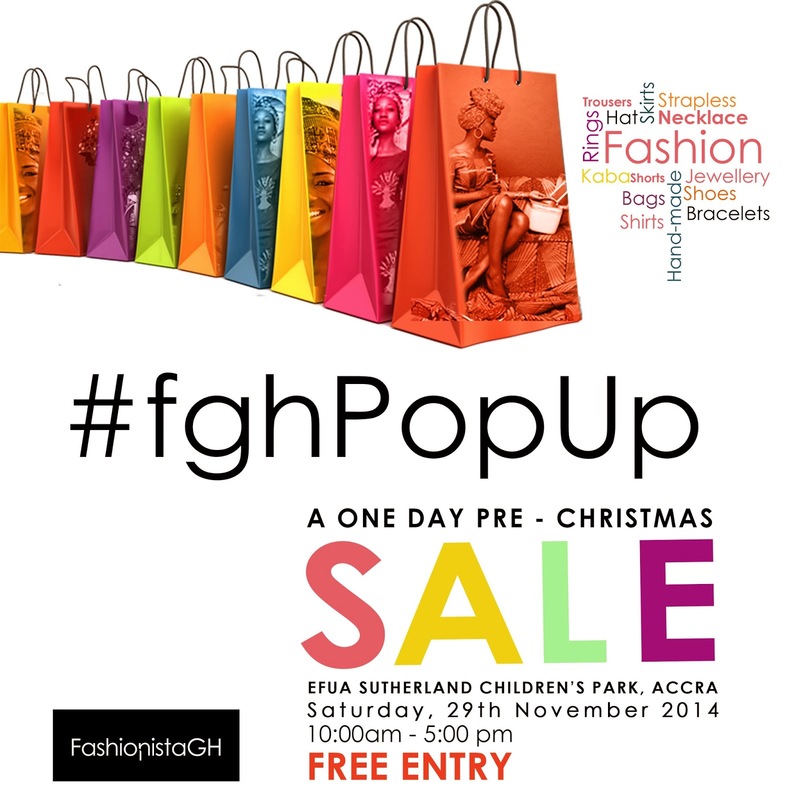 It's #fghPopUp on 29th November at the Efua Sutherland Children's Park from 10am-5pm. Remember, it’s a day-time event so get there early so you don’t miss out on all the fun.